Do You Want To Be A Taxi Driver? Anyone wanting to be a taxi driver in Reading, Oxford and Aylesbury will need to have a taxi driver assessment, without it, you do not have a job. Worse still, if you are found to be operating a taxi service and working as a taxi driver without the assessment you may become barred. The taxi driver assessment is that import. Many people fear to take the taxi driving assessment, usually because they have not been good at taking tests before, or perhaps English has not been their first language. 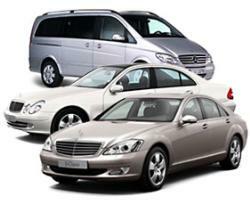 Here at Mann Fleet Solutions we also offer a course of lessons do you can learn how to become a taxi driver. Pick up the phone and give our team a call. Your booking will be confirmed immediately by email or text following your phone call to us. Most local authorities require that you pass a driving assessment to work as a taxi or private hire driver. We offer a 7 days a week driving assessment for the standard or enhanced test (Wheelchair), we are just a phone call away. This involves an eyesight test. Be able to read a number plate from 20 metres away. When you have passed, you will receive a certificate on the day. This must be sent electronically to the council. If you are unsuccessful, the assessor will give you a full debrief and explain what you need to do next time to improve. We call it an action plan and the assessor will ensure you fully understand what is required to improve. If you wish to appeal the assessment, please contact the email below within 7 days and your appeal will be considered. Any local authority that requires taxi testing please contact us. We can carry out tests nationwide.